It all started out as a weight-loss gambit. In 1913, German pharmaceutical company Merck patented MDMA (née “3,4-methylenedioxy-N-methamphetamine”) for use as a diet pill, beginning the country’s long history with the drug (shout-out to trance music). Barring studies and a little experimenting by the U.S. Army during the MKUltra years, it mostly sat on ice for about 60 years; but around 1970, love-addled youth began experimenting recreationally. 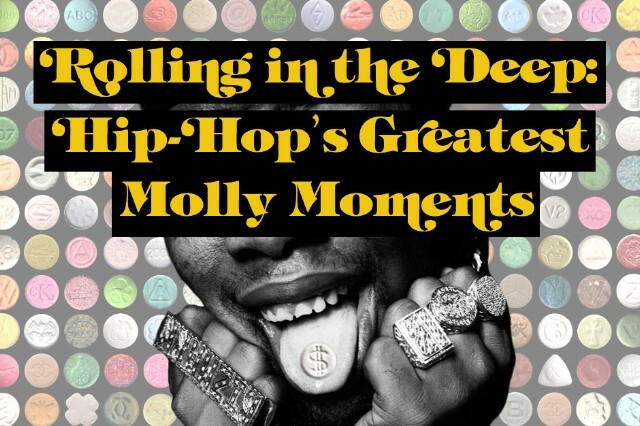 During the ’80s, the drug was known on the streets as “ecstasy” and became more widely used for its euphoria-inducing properties — famed Manhattan nightclubs Paradise Garage and Studio 54 were havens. (It bore no relation to the eponymous, behatted rapper in anti-drug hip-hop trio Whodini.) By 1984, the Drug Enforcement Administration had announced its plan to move MDMA to a Schedule 1 regulated substance as a “hallucinogen” (proving they’d never tried it — who hallucinates on MDMA? ).